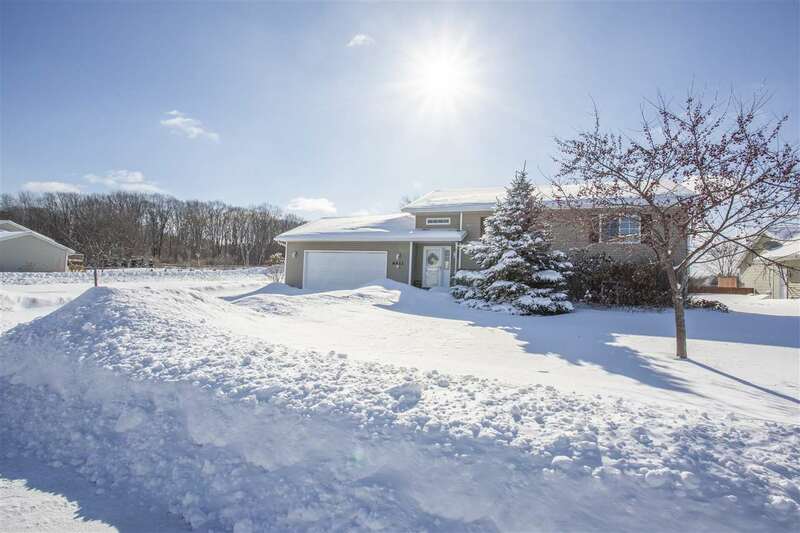 Fantastic, well maintained property to move into one of Central Wisconsin&apos;s most desirable school districts, DCE. Featuring higher end, solid maple cabinet doors throughout Kitchen and Bathrooms, this property opens up with vaulted ceilings and ceramic kitchen flooring. Property also has a nice sized, private back yard with a well maintained deck off of the kitchen. Appliances in the kitchen are included with the sale, washer and dryer are not being included.